Disruptive innovation in the automotive industry is currently occurring on several fronts. This article will address three key areas – electric vehicle technology, autonomous vehicle technology and ride-sharing, taxi-like services such as Uber. As stated in an article from American British Trade & Investment in 2015, “As the automobile becomes a vehicle with far more capabilities than moving from point A to point B… the industry is rapidly developing and adopting a wide range of new technologies”. According to the Clayton Christensen Institute for Disruptive Innovation, the term “disruptive innovation” is used in business literature to describe “the phenomenon by which an innovation transforms an existing market or sector by introducing simplicity, convenience, accessibility and affordability where complication and high cost are the status quo.” This process is often completed by designing for a different set of consumers in a new market and eventually lowering the prices in the existing market. As a general rule, when something is digitised, it becomes highly disruptive. One reason is that digitisation allows the marginal cost of adding new supply to drop to zero. For example, in the past, fi lm photography was the status quo. The film for each photograph would have a cost, and therefore consumers had a limit on the number of photos they could take. When the digital camera came to market, the marginal cost of taking additional photos went to nearly zero. So now consumers pay the same amount to take vast numbers of photos as they pay to take one, and as a result they shoot as many as they wish. One company that has used digitisation to its advantage is AirBNB, the largest hotel chain in the world that does not own a single hotel. The company’s online interface allows users to create listings for their spare bedrooms or guest spaces and connect with those who are seeking to rent the space on a temporary basis. Due to this ease of adding inventory, the number of listings on the company’s website has increased exponentially since it was founded in 2008. Unlike major hotel chains, which must construct a new hotel to increase inventory, AirBNB waits for users to add new listings, and this eliminates the marginal cost of supply to the company. For this reason, AirBNB has the power to restrict hotel markets; the effect of this is starting to become evident at events like music festivals, where hotels are starting to see dips in their profi ts due to the low prices and availability of AirBNB rentals. Beyond allowing companies like AirBNB to increase their supply at virtually no cost, digitisation also allows companies to reach out to prospective buyers through online marketing and referral campaigns. More than ever, businesses are purchasing ad space on Google rather than in newspapers, and this creates the potential for viral loops, which send acquisition costs to zero. Dropbox is a great example of a company utilising viral loops. Members of the site who share with their friends receive more storage space on the site, and new users can expect to achieve the same benefits. These viral loops are the driving force behind the trend that is creating million dollar profit margins in a matter of weeks; a process that used to take years, sometimes decades. Most major automakers continue to develop electric vehicles, and the technology continues to advance and be more practical for our society. Several companies, however, are taking the idea of the electric vehicle to a different level, and this could make the technology mainstream and change the way we view human-vehicle interaction. Tesla Motors has been on the frontier of creating an electric vehicle technology since its founding in 2003. Using AC motors and lithium-ion battery cells, Tesla created the first electric vehicle with a range greater than 200 miles per charge. The company aims to replace traditional fuel sources and to create an affordable mass market electric vehicle. Although the goal of affordability has not yet been achieved, with the 2015 Model S coming in at a minimum of $69,000, modern technology companies expect to expand at exponential levels. While heavily debated, some suggest that Tesla will expand the market for EV in a significant way in the coming years and expects the company to expand its technology at an accelerated rate in the meantime. In fact, Tesla’s plans for the future include the $35,000 Tesla Model 3 coming to market in 2017 and, according to Hatzel & Buehler Inc, will provide battery charging facilities covering 98% of the US population and parts of Canada. Another company investing in electric vehicle technologies is Apple. In terms of disruptive innovation, Apple is a master. They have entered and mastered multiple and varied industries including computers, music, phones, tablets, and now they are turning their attention to automobiles – with their “Titan” project. As the largest market capitalisation company in the world, Apple, through its combined ability to break into new markets and develop new technology, is set up to disrupt the automotive industry and expand the market for electric vehicles. According to recent news reports, Apple hopes to do so with the release of its fully electric, though not fully autonomous, vehicle in 2019. Project Titan aims to expand the market for electric vehicles by appealing to consumers who are already comfortable using Apple operating systems and interfaces in their phones, tablets and computers. By incorporating this familiar interface, Apple aims to make the concept of electric vehicle technology more comfortable to consumers who have concerns about vehicle range and new technology. Overall, this has the potential to expand the market for electric vehicles in ways that are unmatched today. One of the main drivers of potential change in the automotive industry is the self-driving car. The future of automotive almost certainly includes some version of autonomous vehicle technology, and the present form of this technology is much closer to the mainstream than many people realise. According to an article from The Australian, “In terms of the fully automated cars, the technology exists now and they’re being trialled in the US … (The) best guess is that the technology will come into the mainstream in about 10 years”. Benefits of this technology are evident. Once automated cars arrive, roads will be able to carry much greater volumes of traffic, which will increase efficiency for commuters. Furthermore, eliminating the human factor could drastically reduce the number of traffic accidents. As put by the New Yorker, “Of the ten million accidents (sic) that Americans are in every year, nine and a half million are their own damn fault”. Google is becoming known for its efforts in self-driving vehicles. The company is famous for viewing “…the car as simply a mobile phone on wheels.” Google has had success in the development of this technology, but its successful application in reality is somewhat debatable. The Google car has been criticised for being “too safe,” in other words, not being able to make the split-second decisions that human drivers make. The tech company is hoping to break into the automotive industry with a self-driving vehicle, but it must take into account that the world is just starting to accept electric vehicles like the Nissan Leaf and other Tesla models. Salim Ismail, of Singularity University, has noted that many people assume technology is bad when it is new, and the Google car is facing these hesitant criticisms. One of the most talked about companies in disruptive innovation is the ride-sharing service Uber. The company, which has experienced huge growth since its founding in 2009, is revolutionary in the sense that it allows users to provide taxi services to anyone who requests a ride online, typically for a lower price and more conveniently available than traditional taxi services. Automotive companies, such as Mahindra and Mahindra, caution the automotive industry against rising competition from taxi-hailing apps such as Uber, saying it could “push some people into giving up car ownership and pose a threat to auto industry sales volumes”. According to the Economic Times, “the convenience of using (such apps), their easy availability and cheap price could push individuals who have aspired to own a car to drop their plans and opt for convenience instead”. A number of automakers are attempting to upgrade their models with technology to attract a younger generation of consumers. Ford, for example, recently launched a car-sharing initiative that allows people to loan their cars to a small group of customers to make maintaining vehicles more cost effective. For many people living in cities, the cost of the occasional ride from Uber (combined with other modes of mass transit, walking, biking) is much lower than owning and maintaining a vehicle. The ability of consumers to choose this cost-effective alternative to car ownership could become troubling for carmakers, who depend on high volumes of vehicle sales to offset the high costs of capital used for production. This suggests that they may have to adjust strategies to co-exist with successful companies like Uber, Apple or Google, or lose out to them in the long run. OPPORTUNITIES AND PITFALLS: WHO STANDS TO LOSE? Automotive clusters occur where there is a critical mass of automotive assembly plants or supplier facilities. One of the largest of these clusters is in the mid-western United States, centred around the historical home of automotive, the State of Michigan. According to the Center for Automotive Research’s own studies, 60% of motor vehicles made in North America are produced in the mid-west, and around three quarters of the US auto industry’s annual investment of $20 billion in R&D is spent in mid-western states. The Michigan automotive R&D industry, for example, employs an estimated 65,000 professionals, and is home to more than 330 automotive R&D companies or research facilities. Because the mid-west is such a hotspot for automotive employment, many local universities and community colleges have programmes to train, develop and expand the automotive workforce. This, in combination with government workforce development and incentive programmes, makes these automotive clusters very attractive to original equipment manufacturers (OEMs) and suppliers alike. The State of Michigan, however, faces competition for automotive production, as high labour and operating costs drive manufacturing activities to cheaper locations such as Mexico. An important technology cluster is in the State of California. The state is not necessarily an automotive cluster, but is far better known for being a hotbed for technological development, with giant tech companies like Google, Apple and many more. Although the automotive industry is not a large component of California’s Gross State Product, the state is generally ranked in the top 10 for typical measures such as automotive employment, number of establishments, industry shipments, etc. Most carmakers maintain significant facilities for R&D, design, testing, or headquarter operations. California is also well-known for its highly educated workforce and large incentives for R&D activities. If autonomous vehicle technology becomes truly as important as many predict it will be, Michigan’s industry could be at a disadvantage compared to developments in California. Overall, the evolution of technology and digitisation of products and services in our society have given companies the opportunity to create digital business models that allow them to increase inventories as well as the demand for their products with little or no additional cost per unit. Companies like Uber and AirBNB use online interfaces to provide consumers with services provided by their peers, which has allowed for the viral loop effect to create a number of million-dollar companies in a matter of weeks. Furthermore, the process of disruptive innovation is allowing these same companies to revolutionise markets by developing technology to a point where they can replace existing products and services with better ones, all for a lower cost. Apple is the true master of this concept as they topple industry after industry with their computers, music, phones, tablets, and now, their pursuit of automobile systems. Other than Apple’s electric vehicle project, companies like Google, Tesla, and Uber also stand to disrupt the automotive industry with their autonomous vehicle projects, expanded network of electric vehicle battery charging stations, and ride-sharing services respectively. These trends stand, not only to increase efficiency for commuters, but also improve highway safety, and reduce the amount of fossil fuel used by the average motorist. These disruptions may require current automotive industry leaders to re-evaluate and improve their products, or lose out to these technology-based companies. Finally, the automotive cluster that currently exists in the mid-western United States stands to lose ground in coming years if they do not adapt to a world in which autonomous vehicle technology is mainstreamed. California is the current capital for autonomous vehicle technology, and has the potential to become an automotive-heavy state in the future if they continue this development path. Michigan has a large investment of research and development centres and a solid history of being a leading centre for the automotive industry, and is therefore well-positioned; however, because of disrupting technologies affecting the industry, California, China and other locations are vying for supremacy. Bilger, Burkhard. “Auto Correct: Has the Self-Driving Car at Last Arrived?” The New Yorker. New Yorker Magazine, 25 Nov. 2013. Web. 2 Oct. 2015. Evarts, Eric. “Affordable 2017 Tesla Model 3 Sedan and Crossover SUV.” Consumer Reports. Consumer Reports, 17 June 2015. Web. 2 Oct. 2015. Farrell, Maureen. “What Apple’s Auto Ambitions Could Mean for Tesla.” The Wallstreet Journal. The Wallstreet Journal, 22 Apr. 2015. Web. 1 Oct. 2015. Frangoul, Anmaur. “This Could Transform the Way We Drive.” CNBC. N.p., 1 Oct. 2015. Web. 2 Oct. 2015. Gaus, Annie. “In the Talent War, Is Uber the Next Google?” Bizjournals.com. San Francisco Business Times, 29 Sept. 2015. Web. 2 Oct. 2015. Gottliebsen, Robert. “Electric Cars, Driverless Cars: Change Is Coming Soon.” The Australian. The Australian, 26 Sept. 2015. Web. 1 Oct. 2015. Hartung, Adam. “How Tesla Could Become the Next Apple – and Seriously Damage Exxon.” Forbes. Forbes Magazine, 22 Sept. 2015. Web. 1 Oct. 2015. Karmin, Craig. “Airbnb Crimps Hotels’ Power on Pricing.” The Wall Street Journal. The Wall Street Journal, 29 Sept. 2015. Web. 1 Oct. 2015. Maranger Menk, Debra, and Joshua Cregger. “Today’s Car: Providing Opportunities in High Technology and Leading Edge Research.” American British Trade & Investment (2013): 29-31. Web. 29 Sept. 2015. <http://www.cargroup.org/assets/files/british_american_trade_investment.pdf>. Richtel, Matt, and Conor Dougherty. “Google’s Driverless Cars Run Into Problem: Cars With Drivers.” The New York Times. The New York Times, 01 Sept. 2015. Web. 02 Oct. 2015. “Disruptive Innovation.” Clayton Christensen Institute for Disruptive Innovation. Clayton Christensen Institute, n.d. Web. 02 Oct. 2015. “So, What Is a Viral Loop?” Growth Devil. N.p., 04 Dec. 2013. Web. 02 Oct. 2015. <http://growthdevil.com/viral-loop/>. “Taxi-hailing Apps like Uber, Ola Could Eat into Auto Sales.” The Economic Times. Economic Times Bureau, 11 Sept. 2015. Web. 1 Oct. 2015. 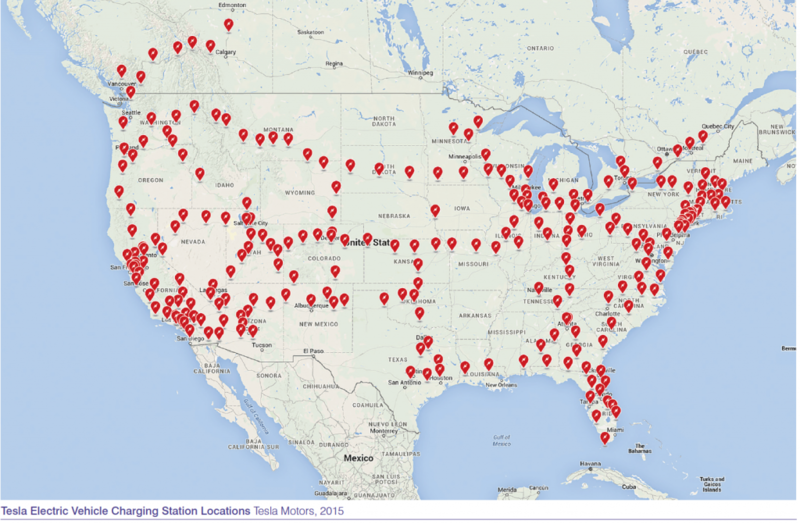 “Tesla Motors – Electric Vehicle Charging Stations” Hatzel & Buehler, Inc. N.p., n.d. Web. 01 Oct. 2015. <http://www.hatzelandbuehler.com/project/tesla-motors-electric-vehiclecharging-stations/>. The Center for Automotive Research is a non-profit organisation based in Ann Arbor, Michigan. Its mission is to conduct research on significant issues related to the future direction of the global automotive industry, as well as organise and conduct industry forums. The Center for Automotive Research’s Automotive Communities Partnership (ACP) has been addressing the needs of automotive communities for the past decade. The ACP brings communities, international partners, automotive companies, educational institutions and government agencies together to advocate for the automotive industry and its continuing investment in the communities that are integral to the North American automotive industry. Furthermore, the ACP helps the region’s communities respond to the challenges and opportunities presented by the auto industry.